Tommy and I have been enjoying this smoothie for breakfast all week. Bonus: It is sweet, tangy, smooth and feels very tropical which can be a good change for the cold winter months. It’s a nice bright way to start the morning. 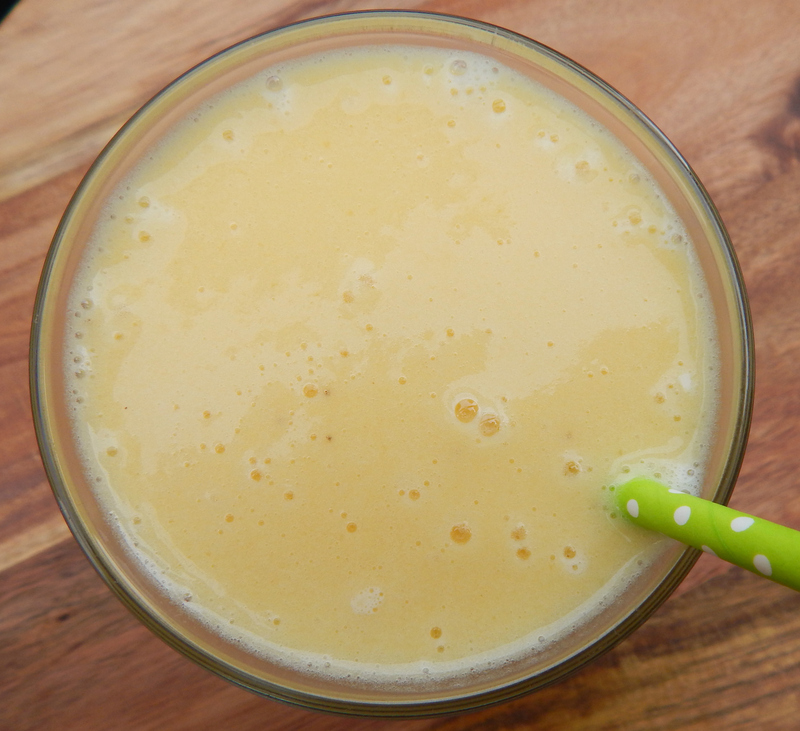 One cup of pure orange juice has over 100% Vitamin C and one cup of pineapple does as well. 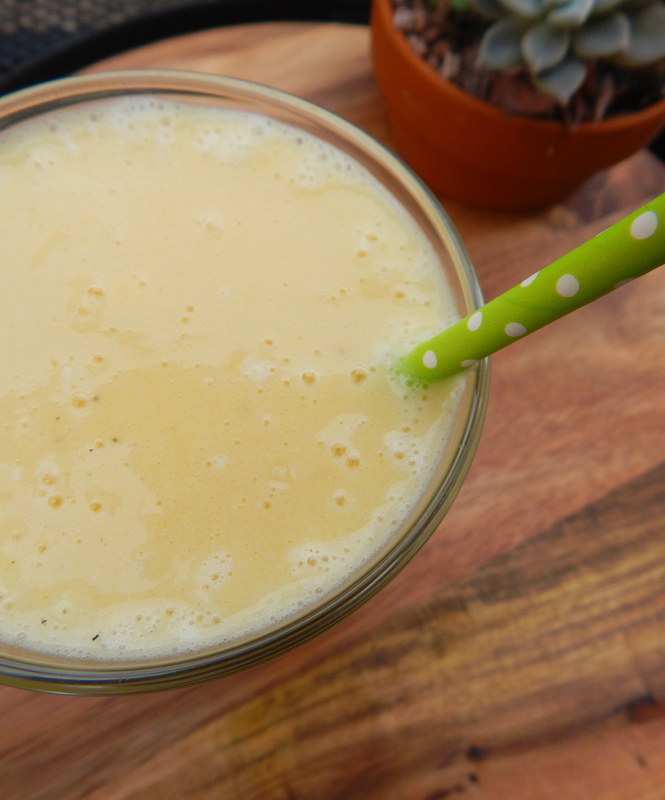 A sweet, ripe banana makes the smoothie creamy and also provides extra Vitamin C and fiber. 2. Blend until very smooth. Pour into a glass and enjoy! If you want a thinner smoothie add half a cup more orange juice. Always good to give your immune system a boost during this time of year! !